In this section, we're going to focus on how you, as an LGBT media company, can maximize your online reach, grow your fans/followers social media member base and encourage greater interactivity with your social media posts. First, is your content published and made available online with an RSS feed? This is very important nowadays, as it allows your content to be more easily shared and increases your overall website and brand visibility. RSS feeds take your most recent content, including a nice summary and image, and make it more portable, opening up the potential for your content to go "viral". People can subscribe to them, search engines can more easily index them, etc. Most website platforms, including WorldPress, Drupal and Joomla, all support content publishing with an RSS feed automatically created. Make sure your RSS feed contains a link to the content's main image, preferably around 300 pixels wide. This will ensure your maximizing your exposure, based on the suggestions found below. From this RSS feed, you can use a wide variety of different online services to ensure your content is spread far and wide. HootSuite is one solution. Our company uses Scoop.it. From these platforms, you can post your content cleanly on Twitter, Facebook, Google Plus, LinkedIn and Tumblr. When posting on Twitter, content images can be posted as a photo, providing greater exposure and click-through rates to your website. When posting, we encourage connecting the Tweets to profiles of those businesses or individuals mentioned in the article. This ensures they are kept abreast of your content mentioning them, and their fans/followers see this as well, increasing your content's exposure. Using the @ symbol is typically all you need. We also encourage the use of #hashtags. Hashtags are single phrase search terms that help your content become discovered. We typically consider three hashtags for each Tweet, when possible. One hashtag would be based on the region covered in the article, such as #GayMiami or #GayLA. You can research which hashtags are most commonly used by reviewing them at TagBoard.com. Going to www.tagboard.com/gaymiami will show you the conversations for #GayMiami from Facebook, Twitter, Google Plus and Instagram, and allow you to view both the quality of the content using this hashtag, as well as how other competing businesses might be utilizing this hashtag. The main criteria are 1) is this hashtag popular, 2) are these conversations I want to be a part of and 3) how hard do I need to work to have a decent "share of voice". Share of voice is important. Looked at as a percentage, it simply means that out of every 100 conversations and posts using a single hashtag, how many would be yours? 10? 20? If 10, then your share of voice would be 10%, a reasonable number. If your share of voice is 50%, then you're either 1) posting more than you probably should using this hashtag or 2) using a hashtag that isn't used very much. The second hashtag to use would be based on topic or theme for your content, such as #GaySports or #LGBTBiz. What's important is to know, for those key topics you often write about, what are the most popular and best hashtags for me to use. For example, when posting an article related to LGBT Seniors, don't use #GaySeniors, but rather, use #LGBTSeniors. Why? We don't know. For whatever reason, #GaySeniors is rarely used while #LGBTSeniors is popular. You only care about which hashtags are being used and seen! For other hashtags, it's all about the word "gay", such as #GayTravel as compared to #LGBTTravel, #GayPride as compared to #LGBTPride, thus emphasizing the point we made on the initial research for hashtags and topics specific to your business and the content you write most often about. The third could be one that is unique to you and your company. For events, this is often a specific hashtag just for the event, so that attendees can find each other, as well as so that attendees can have a voice and be discovered on social media as well. Typical ones used recently have been #NGLCC15, #LGBTWeekNYC, etc. 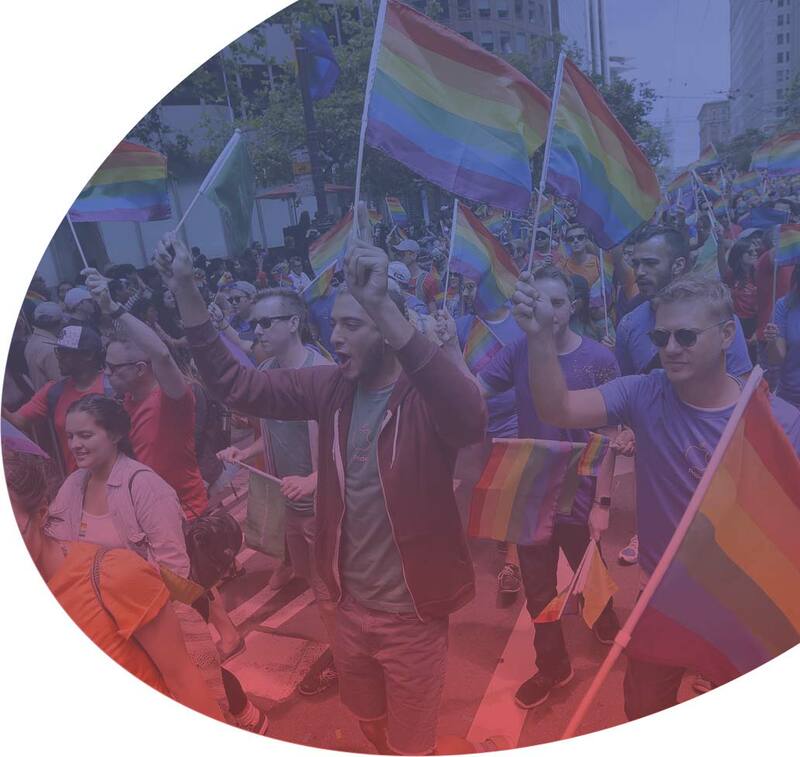 You or a top advertiser/client could be doing a campaign at a pride festival booth and using a unique hashtag from which to discover all of the user generated content and photos uploaded specific to your business. The hashtag is all about discoverability! Discoverability is important as a concept in today's marketing world. It's the concept of how folks find content in all of its forms nowadays, including photos, videos, news, articles and blog postings. Discoverability happens when someone posts an article on their Facebook wall or Tweets about it or uploads a photo on Instagram related to it (and hopefully linking to the event or article as well) or shoots a 6-second Vine video and shares it online. Discoverability has become the #1 way in which content is found in today's world, outshining search. Search used to be the top source of traffic for most news sites, but that all changed a few years ago with the strong rise of social media as we see it today. Discoverability happens from postings on LinkedIn, including company pages and groups. It happens with Google Plus. It happens with Twitter, Instagram, Facebook, Pinterest and Tumblr. Ensuring your content is regularly updated and promoted via these channels, without overdoing it, brings with it the promise of maximizing your content's exposure to your key audience, no matter where or what size screen their eyeballs may be glued. If you've posted content on Facebook, LinkedIn or Twitter and you really want to go that extra mile to ensure it's discovered and seen, consider "boosting" your post, now available on all of these social media platforms. Boosting your post is inexpensive and allows you to increase the reach of your post specific to the online demographic that's best for you. And all of this can be Monitored and Measured. Facebook, LinkedIn and Twitter all have some incredible analytics tools available to us today, ensuring you know exactly which posts had the most views and was interacted with the most (comments, shares, likes and retweets). 3rd party programs such as RivalIQ and SpyFu go even further, giving you deeper insights into what is working best for you in social media and in search, providing you useful feedback as to how you can improve, as well as giving you a snapshot of how your competitors are doing online. NOTE: Google is now integrating top Twitter posts and hashtag trends in their search results as well. A few random marketing thoughts on LGBT Media Best Practices for 2016. Some media companies recycle their content's social media posts that are less than a week old via social media. The advantage to this is that if you don't have a lot of content, you can keep still keep yourself visible out there via these channels. The disadvantage is that when someone is perusing the content of a hashtag you are using in this way, they see your content repeated over and over again, making it look a bit "spammy". There's no specific right or wrong hereâ€¦ it's just a process and business decision that needs to be made on this subject. When it comes to Content Curation, there seems to be an original, version 1 focused on website traffic and serving banner ads, and a more current, social media optimized, version 2. Version 1 seems to have started off strong with the advent of PerezHilton.com, one of the first "bloggers" to hit it big. Websites such as JoeMyGod.com and Towleroad.com have been inspired by this original site. The concept is to monitor a specific topic, such as LGBT news, and write a paragraph about it, linking on to the original story. Most paragraphs written are often a rehash of what is in the original article, with a few original words or phrases thrown in. The idea here is to be the "thought leader" or "influencer" for the specific niche being curated, and generating revenue based on the multitude of ads running above, around and below this curated content with introductory paragraph. Many sites do this nowadays, and it's considered a valid way of generating traffic to a website and earning advertising revenue. Version 2 is more popular with sites such as TwoBadTourists.com and others... they focus more on finding original content based on a specific theme (in their case, "gay travel") and retweeting, sharing, commenting and liking the content, ensuring their social media following is made aware of it along the way. Using hashtags and the @symbol to connect the businesses mentioned in the content has allowed TwoBadTourists.com to become part of the conversation, without having to cut and paste to create an introductory paragraph with a link to the original story. This, and their multi-pronged approach to using Facebook, Twitter, Instagram and other social media platforms in their outreach has allowed them to stand out as unique and a leader in their field. Lastly, they also publish some of their own original content, which becomes promoted as part of their general social media promotion and outreach they're doing for gay travel overall. Consider ReTweeting as a "Quote" rather than just a ReTweet. It allows you to do a much better job of getting your "2-cents" in, while also using the @ symbol and #hashtags as described above. You can also get more out of a single Tweet by tagging users in the Tweet rather than including them in the actual Tweet itself. Twitter allows you to tag up to 10 users per Tweet.